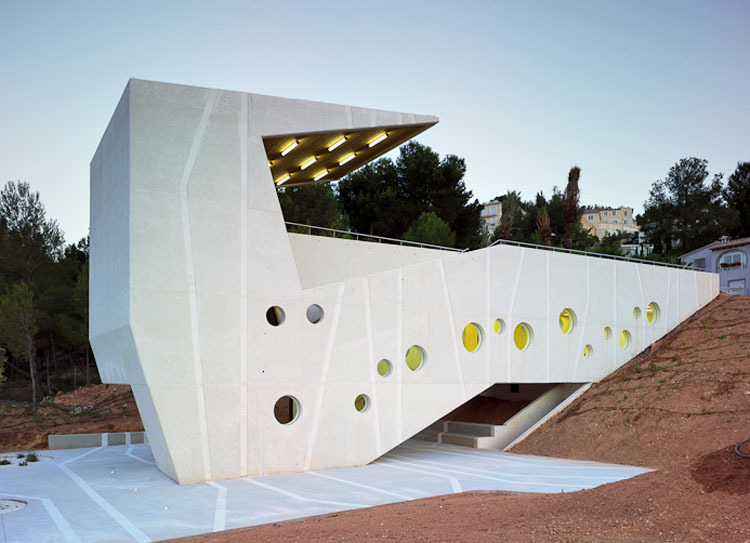 Located in Alicante, Spain, the Plaza Mirador El Tossal Community Center, designed by Crystalzoo Architects boasts beautiful views of the mountains and pine forest as well as being part of the contemporization of the countryside landscape. A neighborhood community center, the unique and elegant building includes an outdoor meeting square and an auditorium inside. Love the circle theme throughout. 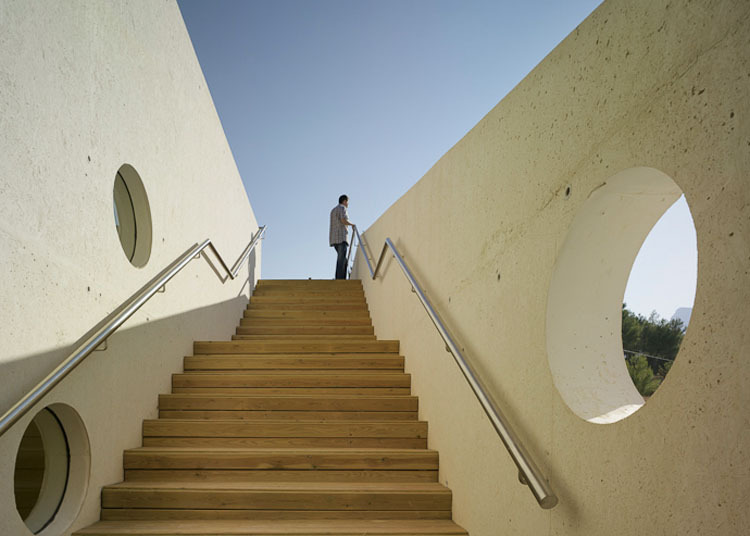 This entry was posted in Architecture, Stuff We Like. Bookmark the permalink.